Useful images for writing about SL10B, now available on the Flickr Group! There was a very important group of photos posted to the Flickr Group yesterday by Harlequin Rhode, consisting of useful images and banners and logos to use of your own blogs – as well as this lovely map! 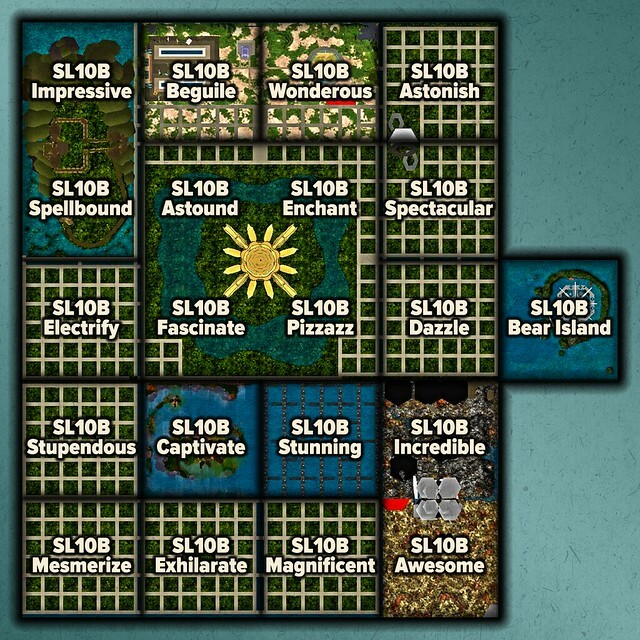 You are free to distribute and use these designs for SL10B related items and activities, blogging, etc. however you are not able to use them in any items or object that you intend on selling. In addition, as SL10B is a G rated event, use of the art must conform to the G rating as outlined in the SL ToS and Community Standards. Using these designs should not imply acceptance or endorsement by SL10B community event organizers. 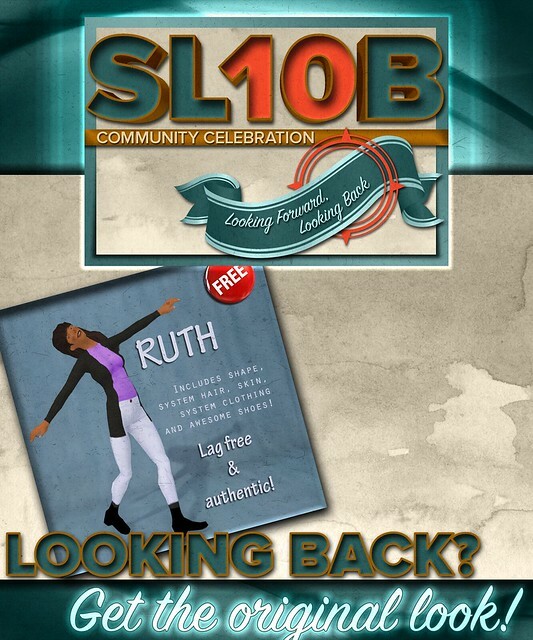 Previous Post: The Long Walk for the SL10B Community Celebrations – a very special hunt!